I read this article and found it very interesting, thought it might be something for you. 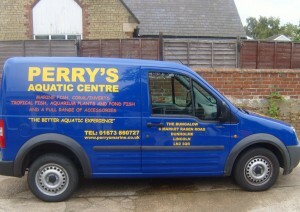 The article is called Buy Your Fish With Confidence and is located at https://perrysaquaticscentrelincoln.com/buy-your-fish-with-confidence/. With literally hundreds of thousands of tropical, marine and coldwater fish to choose from, it is no wonder that fish keeping is such an absorbing a popular hobby and pastime. Without the correct information however, it can be a confusing and frustrating one as you discover, too late the charming gourami you have just purchased requires different water conditions to that of your aquarium, or that your newly acquired catfish quadruples in size, is difficult to keep and may even eat smaller fish sharing the tank or is aggressive toward them. Knowledgeable staff at Perry’s Aquatic Centre will give you all the impartial information and practical advice you need to select your fish with confidence and provide the right conditions in which they can live and breed healthily and successfully. 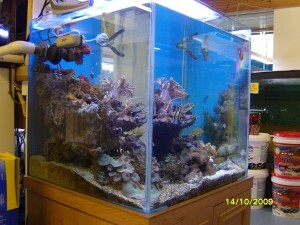 There are a great many fishes for the novice aquarium and pond enthusiast to choose from, in fact, so many that he/she may often become confused as to the best ones to choose. A glance around Perry’s Aquatic Centre will reveal large and small fishes, colourful and plain fishes, herbivores and carnivores, somewhere are the right ones for you. So if you are looking to re-create a biotope in your aquarium or the relaxing, peaceful serenity of an underwater garden, Perry’s Aquatic Centre can help and advice you, so you can succeed with your hobby and most of all, enjoy it!